David Greco, NCG member guest blogger is currently Managing Partner of Social Sector Partners as well as Program Director for the Real Cost Project. 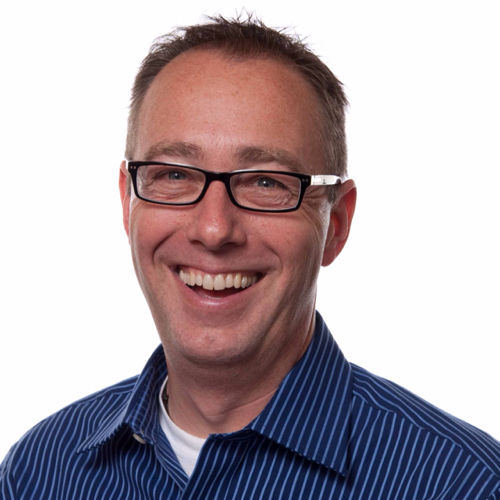 David Greco is leading the Real Cost Project, the statewide initiative in partnership with Northern California Grantmakers, San Diego Grantmakers and Southern California Grantmakers. This project seeks to provide knowledge and skills to support an outcomes-based funding approach and identify the best practices and approaches to increase impact for nonprofits. The Real Cost Project will utilize a mix of educational, advocacy, and skills-building elements to engage funders in local conversations about what it takes to deliver real outcomes and to build the skills and capacity of program officers, trustees, and others engaged in grantmaking to provide real cost funding. For information and updates on project initiatives, upcoming convenings, additional resources, and news visit www.realcostproject.org. Are you still living in 2005? In 2005 the number selling phone in the world was the Nokia 1100. It had a monochrome display with support for 4 lines of text and a resolution of 96 x 65 pixels. It had no browser, no camera, no mobile data, basically, it was just a phone for calling and texting. Oh, and it had 2 games, one of them being Snake. It would be two more years before the very first iPhone was released. There was no Twitter and Facebook was still limited to just college campuses. Was that really only 10 years ago? Seems like a very different world indeed. While there have been massive changes in the tech world since 2005, the social sector has changed as much, if not more. We have seen a wholesale shift in how government is funding and approaching social issues. We have seen a new wave of philanthropists who don’t think about making donations to charity but rather look for investments in social innovation. We have seen a blending of the nonprofit and for-profit capital markets. We have seen the rise of hybrid social enterprises, B Corps, and triple bottom line business. We have seen the rise of big data and a push for social outcomes measurement. We have seen the rise of big money that is threatening to drown out the voices of those who lack the resources to compete. In 2005, there were no such things as B Corps, there was no ‘impact investing’ as a recognized approach to funding, there was no ‘Social Capital Markets’, and social impact bonds were still 5 years away. And there was no “Citizens United” that opened the flood gates of “big money” into political campaigns. Ten years ago, the social sector was a vastly different place. The social sector on both the philanthropic and nonprofit side has undergone a radical transformation over the past ten years. Yet for so many donors and grantmakers it is still 2005, with funding practices resembling the old Nokia phones – useful in its time but now passed by with more powerful and innovative thinking. You don’t use the same phone you did in 2005. Why are you using the same approach to grantmaking? What are the consequences of having funder practices that have failed to adapt to the new realities of the social sector? As recently highlighted in a national study, nonprofits are struggling to meet the demand for critical safety net services, social sector organizations are limping by with limited liquidity and weak infrastructure. "Human services deserts" have appeared in low-income communities where there are no established human services providers. Nonprofits in communities of color and low-income communities are failing at nearly twice the rate of organizations nationally. That means everyday people in our communities are being denied access to critical services from healthcare to workforce development to child care. The Real Cost Project aims to change that. It is not about arguing what worked or didn’t work in 2005. But rather it’s about recognizing the realities of the sector here today in the real world. And it’s about developing new approaches, new practices and new ways of working. I find the debate over ‘overhead’ a bit like arguing the virtues of Beta vs VHS in the age of online streaming videos. It is not about good or bad, it just isn’t applicable anymore. Focusing on overhead means you are focusing on inputs in an outcomes-based world. For all of us working to achieve a more just and sustainable world, it should not matter how much a nonprofit spent on fundraising or color copies. What matters is that the most needy and vulnerable in our communities are afforded access to critical services and programs. What matters is that our communities are healthier, more sustainable, and more vibrant. What matters is that we have a strong and durable social sector working to create a better world. 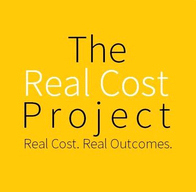 Learn more about the Real Cost Project and access resources.